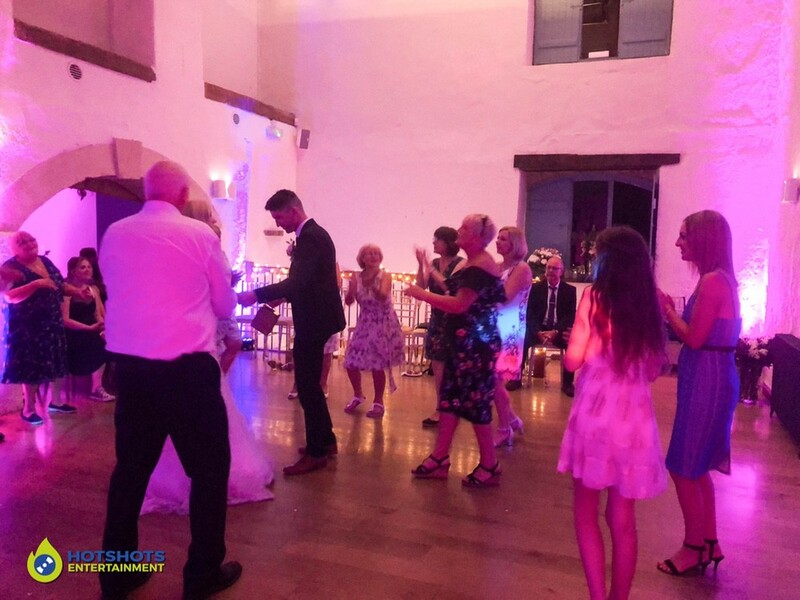 Many congratulations to Mr & Mrs White who got married at the lovely Priston Mill in the Water Mill on the 14th July 2018. 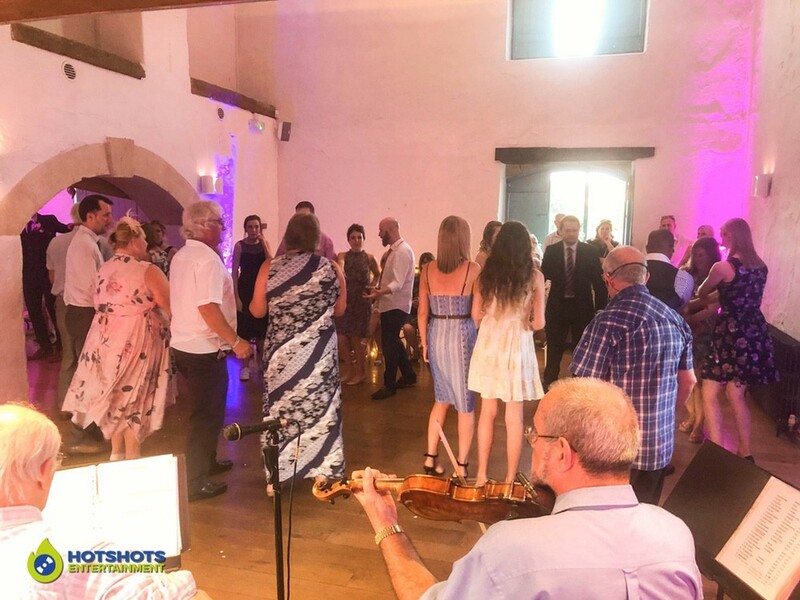 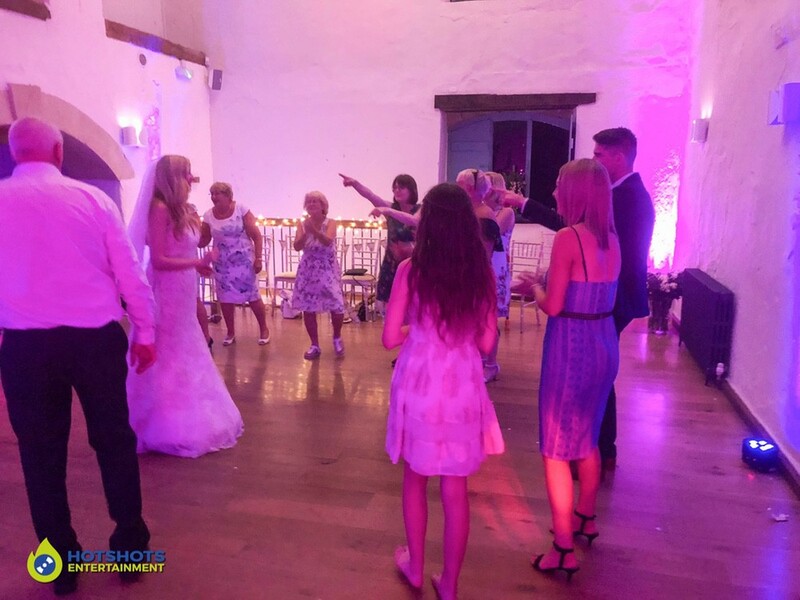 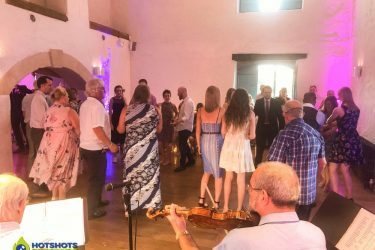 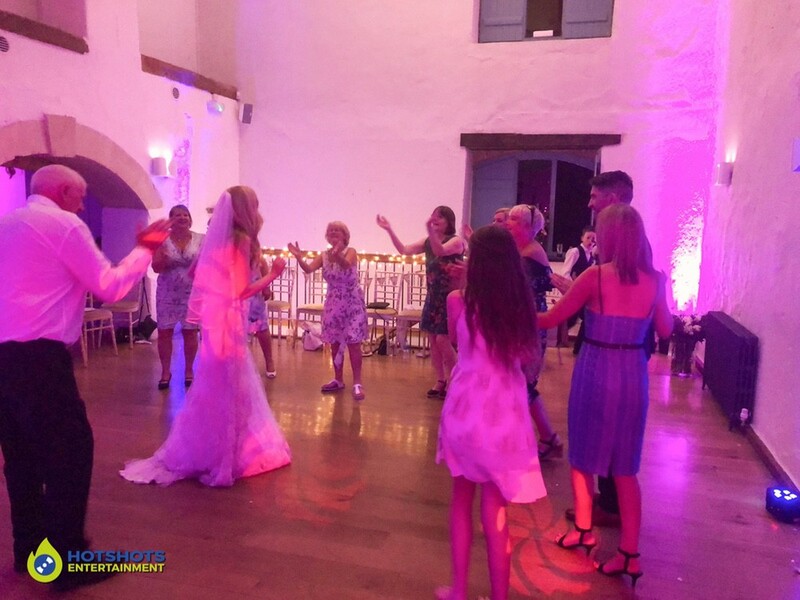 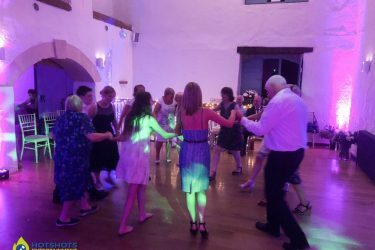 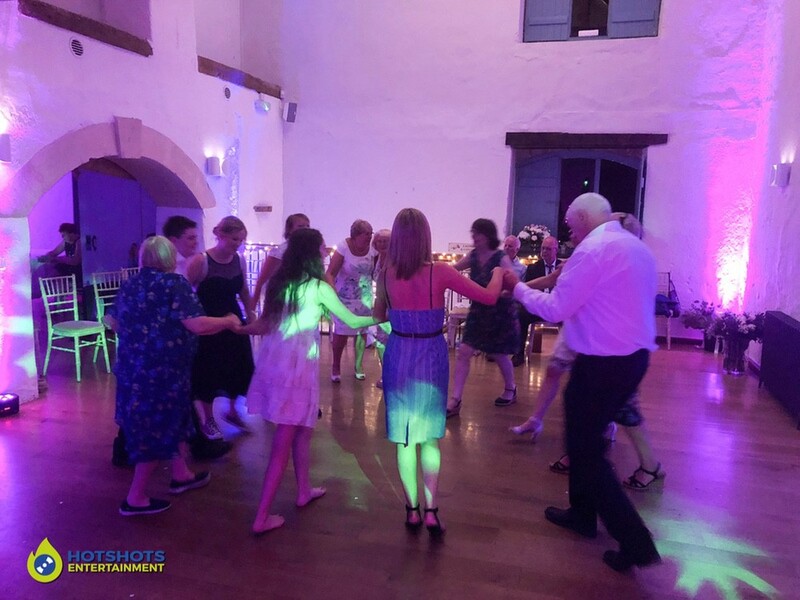 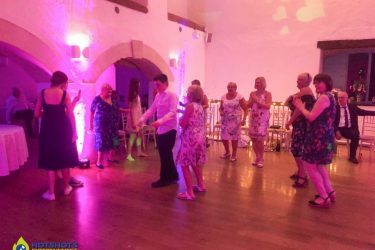 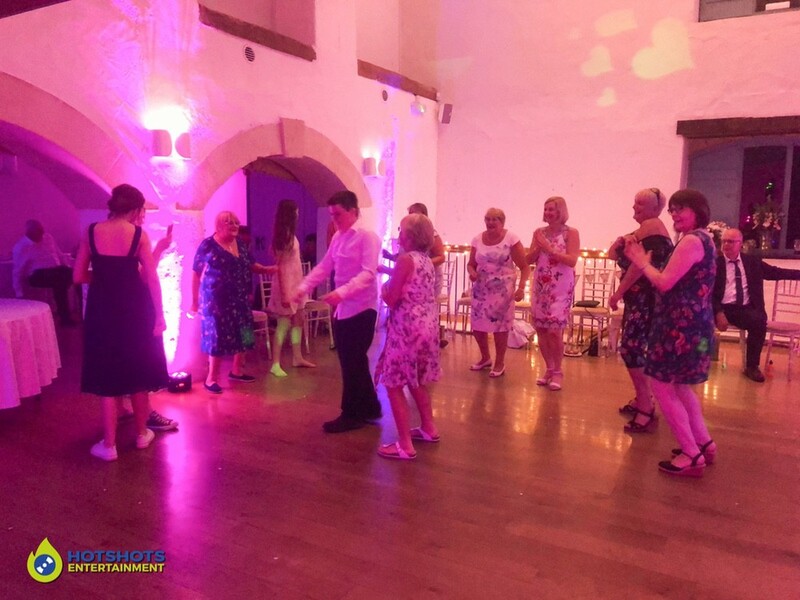 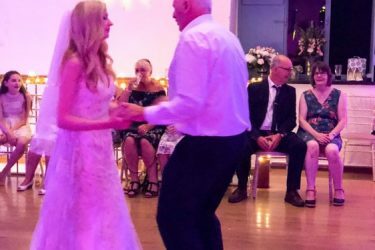 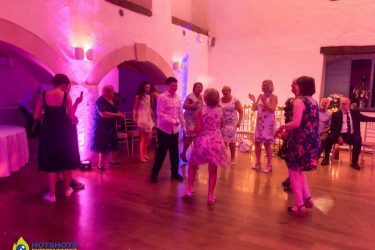 Hotshots Entertainment was booked to provide a Silver Wedding DJ package and what an evening it was, it all started off with a Ceilidh Band who got everyone up to do some dance routines and it looked like they were having a great time, even though it was very hot. 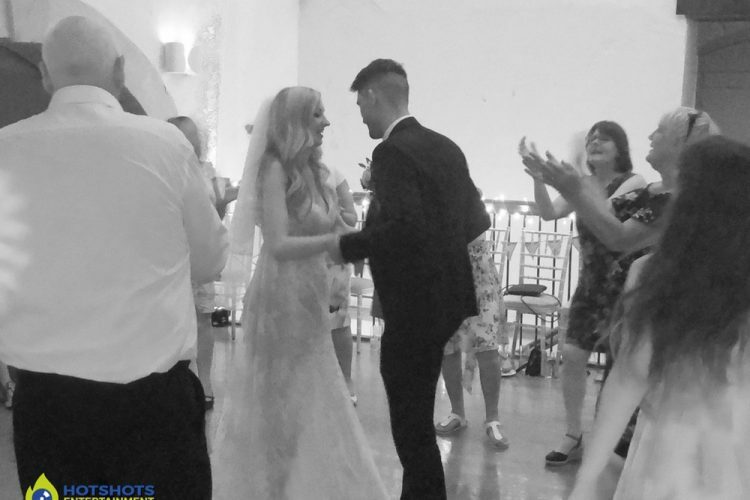 The first dance was done by the band and was perfect. 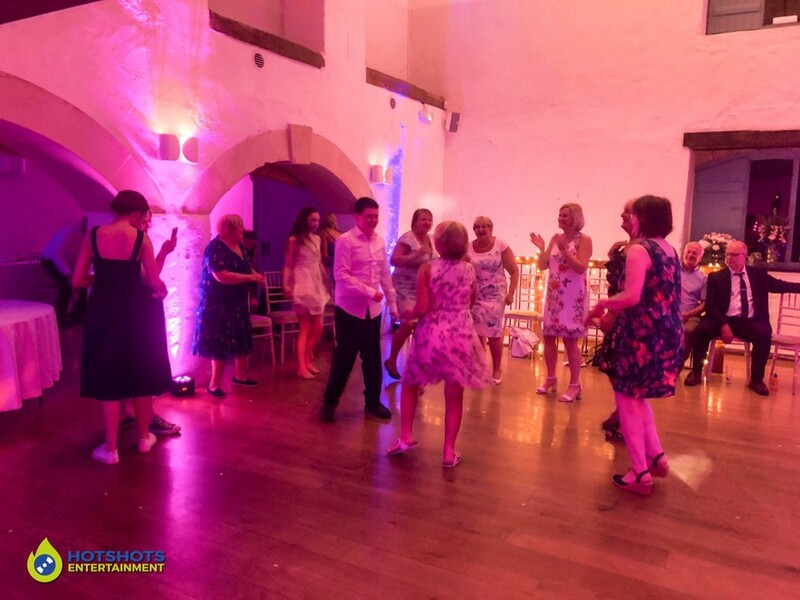 Adam from West70 photography was there taking some great shots, it was nice to see Adam as he was one of my photographers for my own wedding. 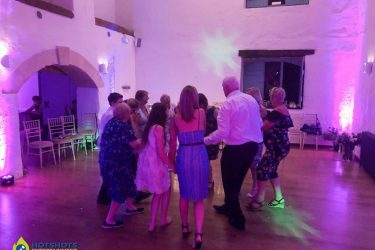 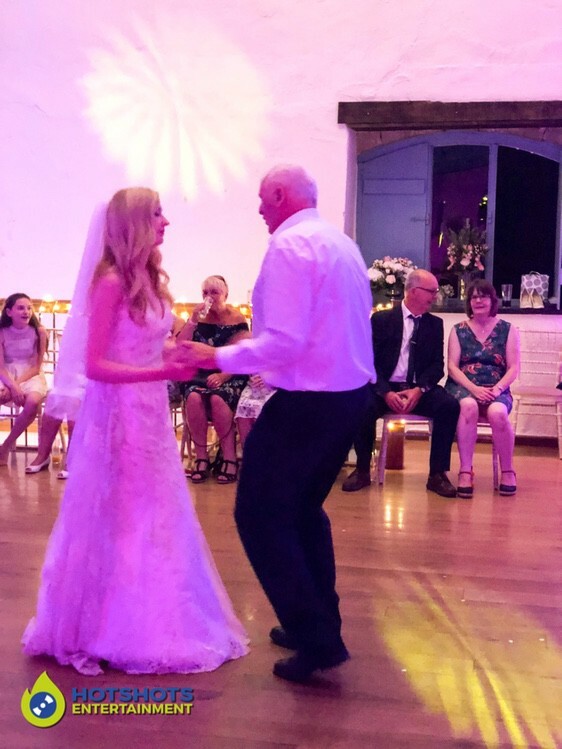 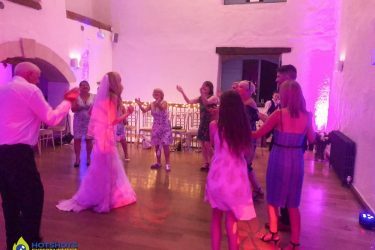 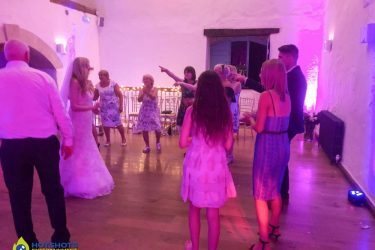 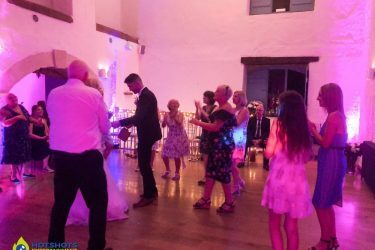 After the band finished it was time to get the disco started and the guests were up straight away, there were a few requests on the evening, but everyone was having a great time, later on, we did the father and daughter dance to Ed Sheeran – Galway Girl which was fantastic. 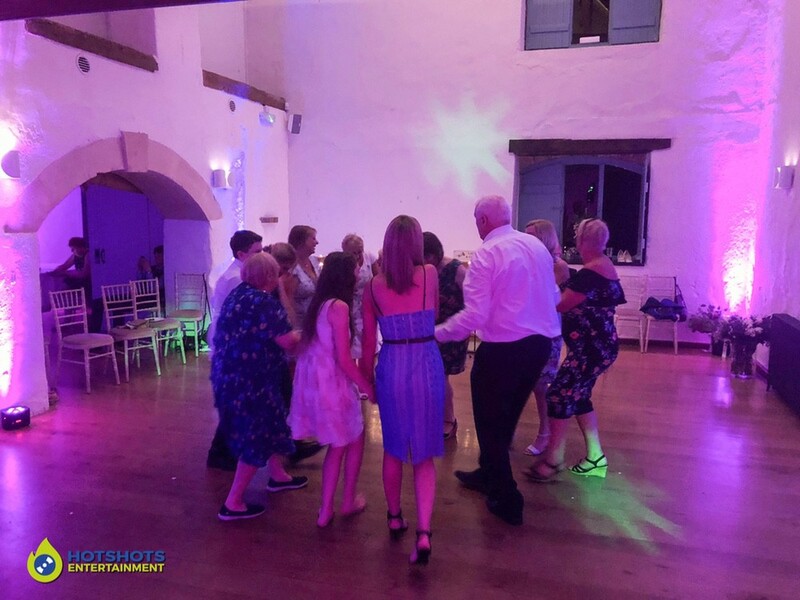 Unfortunately, I left my camera on all night and forgot to charge it, so I did not get my usual shots, but I did manage to get a few from my phone and you see these below.